Is there a walk in my community? If you don’t have a Friends for Life! Walk™ in your community, you can become a virtual walker, or start a walk in support of the Ontario SPCA in your local community. Your fundraising dollars will go towards, but not limited to, the list of programs and services provided by the Ontario SPCA and Affiliates. Without your help the Ontario SPCA and Humane Societies would not be able to continue to provide these services. 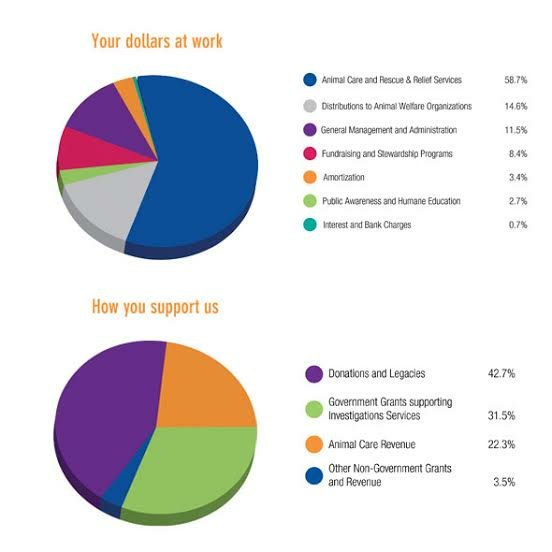 What are ONTARIO SPCA’s fundraising and administrative costs*? What should my fundraising goal be? Will I receive a tax receipt for fundraising? All donations over $10 will receive a tax receipt. Tax receipts are valid for Canadian residents only. All donor information, including full name and home address, must be provided. Can I bring an animal to the walk? Dogs are welcome to attend the Friend for Life! Walk™! Please remember, you are responsible for your animal at all times. If your dog does not enjoy the company of other canines or people, please leave him/her at home. Please poop and scoop- don’t bend and pretend. Please feel free to contact the Friends for Life! Walk™ team with any questions you may have. We can be reached directly at 1.888.668.7722 or via email at walk@ospca.on.ca.